This beautiful lady has melasma. Melasma is a condition where she makes excess pigmentation that look like islands of darkness and are not freckles. 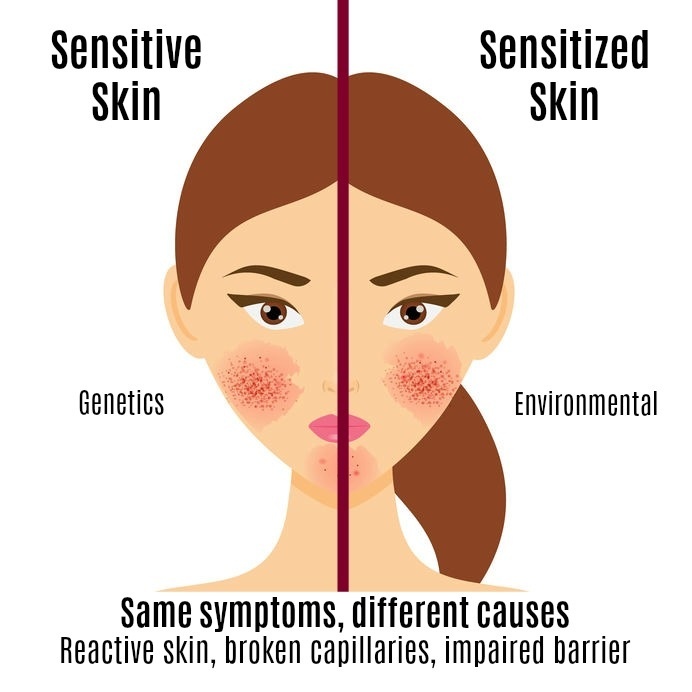 Melasma can be induced by sun exposure, heat and hormones. Some notice melasma after childbirth or when they start birth control. At Charmed Medispa, we are familiar with this condition and how it must be treated. Some providers use laser technology but we encourage any melasma patient to avoid lasers. Melasma, in our expert opinion, should only be managed with topical therapies as well as lifestyle advice. Topical therapies start with a customized prescriptive skin care program to train the skin. It’s like going to the gym. You have to make your skin behave. 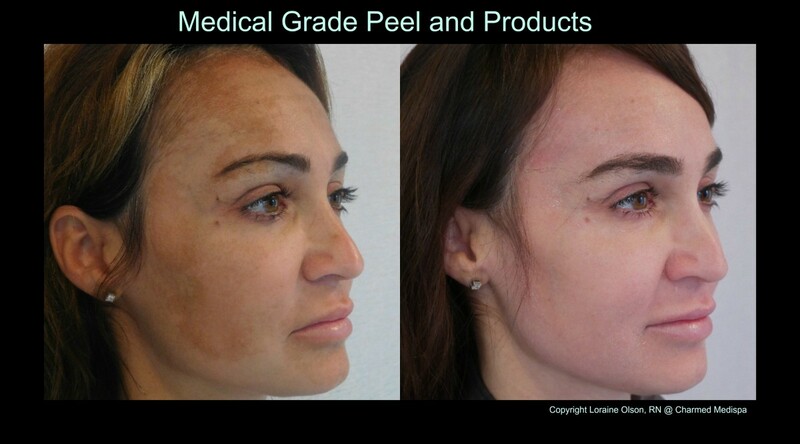 Next, we can add medical grade chemical peels. We are not talking about peels that are done in a salon or regular spa. These peels have super hero ingredients in them with super powers and are blended specifically to your skin type and needs. Chemical peels are pH balanced and do not burn anymore but are more powerful. This result was from ONE peel. Can we get a round of applause? One peel. But one very, very specific peel and one very, very specific rock star provider, Shae Ryan, who is a guru of solving skin challenges. Shae often says, “challenge accepted”. IF you give us the ability to use the right tools and resources on you at the right time, we can deliver results that are unparalleled. We treat many skin care conditions including acne, sun damage, dry and irritated skin, oily skin with large pores, blah skin which often occurs in the winter and more. We offer comprehensive FREE consults to evaluate your needs and make a plan of action that agrees with you and is results oriented. We like to say we don’t do a lot and we do not do a little. We do what is appropriate! Make 2017 your year for the changes in your skin you are hoping for. In addition to skin care, we offer Botox, Dysport, dermal fillers like Restylane, Juvederm and Voluma, laser services like IPL, laser hair removal laser resurfacing, Pixel, laser polishing, and laser transform. We also offer microdermabrasions, chemical peels, facials, dermaplaning, microneedling with topical therapies. and all sorts of facial rejuvenation options that do not require surgery or downtime. We are Delaware’s most experienced providers with over 20+ years of experience. We accept your challenge!